In a new blog post, Treyarch has shared the first details on what’s coming to Call of Duty: Black Ops 4’s Zombies mode in the next few weeks and months ahead. Many fans have been asking Treyarch for more communication on what’s happening on the Zombies front, and Treyarch has now provided some details on what Zombies fans can expect going forward. The blog post details what’s coming in Update 1.12, which is set to hit later this month, alongside details on what’s coming beyond as well. Update 1.11 went live today with the new Gauntlets features. January 15, AKA 115 Day – a nod to the notorious Element 115 from Call of Duty Zombies lore, for those of you scratching your head – holds a special place in our hearts. This week, we’re excited to celebrate our global Zombies community with a special Zombies 2XP in-game event, the debut of Gauntlets and new Elixirs on PS4, a preview of what’s coming to Zombies later this month, and a look ahead at what to expect in 2019. Let’s get into it. How about some Zombies 2XP to kick things off? Now live through 10AM PT on January 18, Zombies players earn 2XP, 2X Weapon XP, and 2X Nebulium Plasma on all platforms! Get out there and slay to your heart’s content, because we’ve been working on some new Elixirs and bundles to brew up with all that newfound Nebulium. First up, let’s talk about our newest Zombies feature with the introduction of Gauntlets in Voyage of Despair. We’re excited to debut Gauntlets in Zombies this week on PS4, starting with “Unsinkable” in Voyage of Despair! Gauntlets in Zombies are endlessly-replayable, 30-round challenges with unique rules governing gameplay in each round. Players earn medals and tiered rewards for completing rounds 10, 20, and 30, as well as a unique reward to adorn your Emblem for completing round 30 without failing a round. Sound easy? Think again. The rules of engagement change each round, including weapon restrictions, area defense challenges, health-drain modifiers, time limitations, and much more. You and your crew will earn a Strike by failing a round, and after three Strikes, it’s game over. Mastering all 30 rounds will test the skills of even the most seasoned veterans, and only the best zombie killers will conquer an entire Gauntlet with zero Strikes. We’ve also designed Gauntlets to be played competitively, with permanent rules for reach round and a timer running during every match. We can’t wait to see the incredible speed-run records our community come up with! Jump in today and show us what you can do. You might see some new Concoction bundles in the Laboratory over the coming weeks while we test out some fresh combinations, so feel free to try them out and let us know what you think! If you don’t see anything out of the ordinary this week, don’t worry – we’ll be tinkering with different offerings behind the scenes, and everyone will get a chance to check out these new bundles soon. New Gauntlet: Today’s Gauntlet in Voyage of Despair is just the first of many to come. Keep an eye out for our second Gauntlet later this month. But that’s not all… let’s take a look ahead into what’s coming to Zombies over the next few months, shall we? Black Ops 4 Zombies is the biggest and most ambitious Zombies mode we’ve ever created, with five unique experiences already available within two months of the game’s launch. Now that Dead of the Night has been released to the world, we’re heads-down on developing the next series of features and content scheduled for the coming months, in addition to upcoming gameplay improvements, bug fixes, and quality-of-life updates. 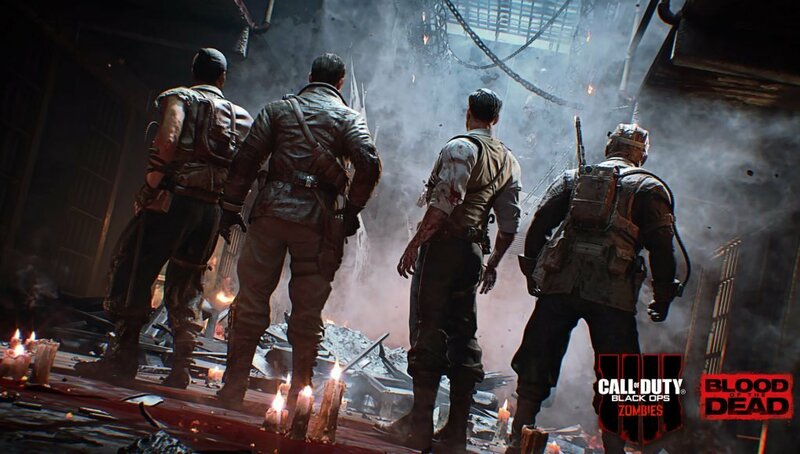 Host Migration: We’re always working on ways to improve the public Zombies experience, and host migration will help to ensure everyone in a match can continue to enjoy the game if the host player disconnects. This will be a key priority for the team after our 1.12 update goes live. Server Pause: For the first time in Call of Duty Zombies, we’re planning on allowing hosts to pause the game at the server level during online matches! At last, bathroom breaks during all-night Zombies sessions can become a reality. Splitscreen Pause: While adding the ability to pause online matches is a priority, we’ll also add support for pausing splitscreen matches in an update shortly afterward. More Gauntlets: We’re currently planning to release a new Gauntlet with each major game update throughout the year, beginning with “Unsinkable” in Voyage of Despair and continuing with the next Gauntlet in our 1.12 update. 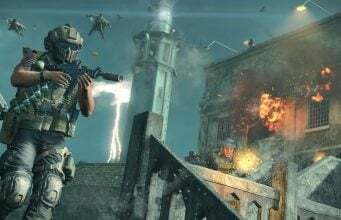 Expanded Stat Support for Black Ops Authenticity Stamp: The second phase of the Black Ops Authenticity Stamp will deliver even more player stats to track at the BOAS web site, allowing players to show off their Zombies prowess in more ways than ever before. Faction Callings: This is the big one. Faction Callings, or “Factions”, is planned to be our most intricate new feature coming to Black Ops 4 later in 2019, and as such, will require the most time to complete the engineering, scripting, implementation, and testing needed before going live in the game. Faction Callings are designed to feature a full season of 12 unique challenge events across all Zombies maps and game modes that reward players with never-before-seen character customization loot. Completing each event will culminate in Faction-based narrative reveals that flesh out the Zombies universe even further. These details are subject to change during development, and we’ll have more info on each of these features as we get closer to releasing the updates containing them – and later today, we’re excited to share more Zombies intel from the man himself, Zombies Director Jason Blundell, in our Zombies Twitter Q&A live from Treyarch. We’ll have a post up recapping much of Blundell’s Twitter Q&A later today, so stay tuned.